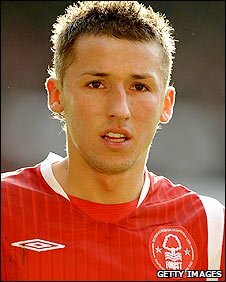 Nottingham Forest have completed the permanent signing of Polish midfielder Radoslaw Majewski on a three-year deal. The Reds agreed a fee of £1m for the Polonia Warsaw player, who has been on a season-long loan at the City Ground. Majewski, 23, has been an influential figure in the club's push for promotion from the Championship and manager Billy Davies was desperate to keep him. Davies said: "He's an excellent young player and at his age and with his ability, will only get better." Majewski, who has made 34 starts and scored four goals, had been linked with several Premier League clubs after an impressive first season in England. And Davies had begged the Forest board to complete a permanent deal before the end of the season.